It was a bit out-of-nowhere when Capcom confirmed the other day that AA was coming to Switch, so it wasn't much of a surprise that we didn't have any more details. But Kotaku UK has done some additional digging and claims their sources have confirmed three Ace Attorney titles for the Switch are in development. First, Switch compilations of AA1, AA2, AA3 and AA4, AA5, AA6 are planned to release throughout 2018, using the work for the HD editions already available on phone. But more interestingly, Kotaku UK reports an all-new Ace Attorney starring Phoenix is slated for late 2018 worldwide on both Switch and mobile. While this is just a rumor at the moment, Kotaku UK seems to have enough faith in their sources to run it, so we may very well be looking at a very AA-filled 2018! Indeed! This is very interesting news imo. Can't wait to see what the game's about, even though the fact that Phoenix is returning again is kind of disappointing but it is to be expected. Maybe they'll make a DLC Case in Khura'in. ...I read AA123 as AAI3 at first and got excited. This is still good news. I hope the whole starring Phoenix thing is an even more exaggerated version of what happened with SoJ and Phoenix only appears in like 1 case though. Huh? Just one year from now? That's unexpected. Considering that for many of its owner, the Switch is the first Nintendo Console they had in a while (or ever), it makes sense to release some compilations first. That way the many potential newcomers have a way of playing through the core games before jumping into the new one (though doing all 6 of them in a few months would still be pretty difficult for some). However I still have a hard time seeing a brand new AA in just two years after SOJ, especially since they can't simply reuse the same graphical assets from the 3DS games as they are. I wasn't too surprised about the compilations tbh. But a new AA game starring Nick... again... okay? Then, second, I really hope that Phoenix will not be too much of a role here... I never liked him a lot, but if its gonna be like the last few games, I'd be fine with that. 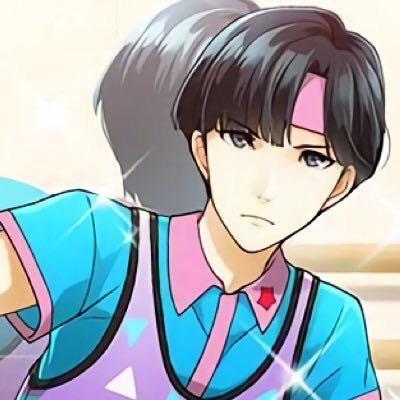 On the other hand, while I love my sweet innocent Apollo, his "story" is kinda wrapped up neatly and does not really require much elaborate plot to be fine as it is. Not really sure I buy this. This is a little too much info to have right now. Looks like I’m gonna buy a Switch when this is official confirmed. Not gonna lie: I WOULD be okay with an Athena Cykes: Ace Attorney, but her story's pretty much done (you could probably argue the same about Phoenix tbh). However, there ARE still some Apollo Justice plot points that haven't been cleared up. 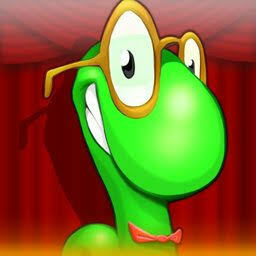 Which the devs have refused to touch for two games. They can easily just make up more backstory for her, though. Same with how they added the whole Dahlia/Iris/Turnabout Memories backstory for Phoenix, after the fact. My main hope is that they expand on Phoenix's meeting with her, in Europe. Because it was super vague and ripe for content to be made out of. Like, Phoenix defends one of Athena's friends/the person she is staying with, or something. Reusing the HD mobile assets for an AA456 game would be so weird, with a movement from 2D to 3D visuals in one game. I was really hoping they’d make 3D models for all the 2D games and try to make SoJ the consistent visual style. Last edited by SuperAj3 on Tue Nov 14, 2017 2:30 am, edited 1 time in total. This is...interesting? This is a lot of Ace Attorney, and I'm curious as to how they'll handle it. Having 1-4 as flat-sprites and 5-6 as models would be a bit odd (especially for the 4-6 bundle, as one of them would be sprites and the other 2 models). I wouldn't be surprised if they go full on HD-models, but maybe they'll give you the option to switch to sprites instead (DD and SoJ in sprite form would be awesome). Also, hopefully the music will be remastered. As for the new game, I'm not surprised. As much as I'd love an Apollo/Athena game, Phoenix is the name that brings money to the franchise, and I imagine they'll want their first title on Switch to be as successful as possible. EDIT: I'm also 99% sure the title will have some sort of "Switch" pun in it. The compilations are 100% unsurprising and I was expecting them well before Capcom's COO made his comment last week. Even if this entire rumor turns out to be bunk I would be very surprised if they never made it to Switch in some form. The new AA starring Phoenix is a little more interesting. If it really is coming late 2018, that implies that Capcom's had it in development for quite a while. My impression was that Yamazaki was less interested in continuing with the series, and we know Eshiro was working on DGS2, so this would suggest something of a shakeup in head main series staff (for example, Fuse taking the director role.) 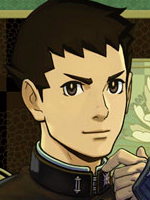 That's all speculation, though - Yamazaki could've gone to work straight on AA7. I would say what lends a bit more credence to this rumor is the point that it's being planned for Switch and mobile alike; it's no secret that the success of the Switch caught Capcom by surprise, so if development started before the Switch took off (which it would have had to), them putting it on mobile to hedge their bets makes a lot of sense. Laura Kate Dale (the author of the piece) has a hit-or-miss record when it comes to Switch news, but I can vouch that at least one of the things she's gotten "wrong" was the result of plans changing after she initially posted the story. Of course, that could have absolutely nothing to do with her sources for this story. But that said, her past rumors were largely through her own site IIRC, whereas this is coming through Kotaku UK, who presumably have interest in vetting the story. All in all, it seems very possible to me, but I still hesitate to call it 100% confirmed. If it is true and plans don't change, I imagine we'll start hearing about the compilations in the first few months of 2018 - but I'm not sure when Capcom would announce the new AA exactly. I can admit it would be much easier to expand upon Athena's story than it would for Phoenix's since there are more things they can do with her compared to Phoenix. Even by now, not one person has made the obligatory "Super Ace Attorney Odyssey" joke. I don't know whether to be relieved or disappointed... leaning more toward the latter. If Yamazaki and Fuse have teamed up again for GS7 shortly after GS6 released, I can see a late 2018 release, but I was under the impression Yamazaki wanted to try something else before he got back to the usual GS stuff. Part of me is kinda hoping it's actually a spinoff title that happens to star Phoenix & co., but with some sort of twist that separates it from the mainstream games; though I suppose that's unlikely since GK3 hasn't even been confirmed yet. Like, they can expand the first 3 cases in Europe, then the final 2 in Japanifornia/Khura'in. That way, Phoenix can star in the next game and it'd still be all about Athena. 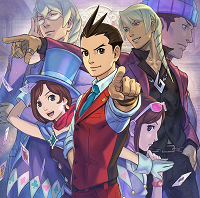 But I at least want a case where she leads the last trial, and it somehow involves Apollo, Trucy, and Thalassa. About the part where it takes place in Europe, maybe they can show how Athena grows as a character or learns how she first used her ability for good etc. 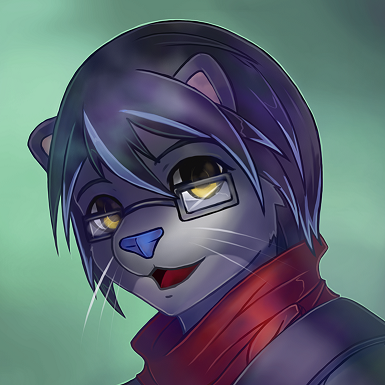 Like, I have this (probably cliched) made up backstory for her, where she's this timid and cowardly person in the past due to her abilities to hear people's heart and distances herself from people in a cold manner. But then she slowly finds a use for them in court after meeting Phoenix. Like, say in the first case Phoenix was at a loss as to where the trial is headed because the witness/culprit is very convincing etc, then she steps up beside him to assist him because she couldn't stand the accused hearts screaming in pain, like with Blackquill in the past. I dunno. 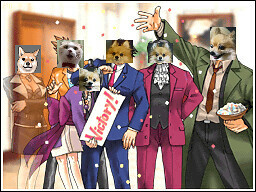 Maybe it's just because I really want that Athena Cykes: Ace Attorney game. I mean it would be nice if they could expand upon/give us more details on stuff that we know about, but who knows? It could up like Dual Destinies and not really pay attention to previous plot threads. Let's see, the rumor states that AA7 is coming out in late 2018 and it will star Phoenix Wright again... yup, sounds exactly what I was thinking. Athena will get promoted to being the #2 protagonist and Apollo will scarcely be mentioned. I am feeling a certain amount of fatigue with this series - if they're going to have yet another game with Nick as the main character, I would like things to be shaken up... more than usual. 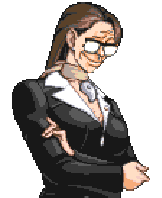 I would love to see AAI-styled investigation sequences, just with 3D models instead of sprites. I don't want to be the old AA vet who keeps saying "the o.g. trilogy was the best and all the new stuff is crap! ", but I'd like the new game to be a natural extension of the series. AA2 and AA3 felt like logical steps forward and didn't seem like unnecessary sequels. I don't have a great way to explain how that can be accomplished with AA7 because the series is at a bit of a crossroads after AA6. It could up like Dual Destinies and not really pay attention to previous plot threads. Yeah, that's what I would expect. 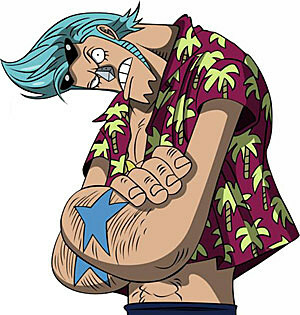 I'm surprised about the amount of pessimism regarding what the story might be considering the major sequel hook at the end of SoJ. It would be a terrible idea for the next game to disregard that, since DD at least kind of had an out to ignore the end of AJ (Lamiroir wasn't necessarily ready to reveal herself yet) while SoJ made a more explicit statement of what plot should appear in the next game. Even if Phoenix will be considered the main character in AA7, it's not like they can't address that plot hook at the same time. Hmm, not sure I totally buy this rumor, but if there is a mobile phone release I won't have to buy a Switch at least. So apparently someone on reddit got more info front Kotaku. I’m personally not believing it, as it’s just a random reddit user. However, to summarize what they said, Nahyuta, Franzy, and another character return. It uses a brand new engine, and it’ll be officially revealed on 12/14. If true it's the best chance to get to FINALLY own 5 and 6, as well as the HD Remakes of the rest of the series. If Capcom still insists on digital only outside Japan, at least Limited Run Games has started to do Switch releases, and something like this would have to be top of the list of what should get a retail release for them. Here's hoping... assuming all of this is true to begin with. And I don't care what any one else says. I love playing Phoenix bumbling through cases, meta plot be damned. I have no interest in Apollo or Athena. 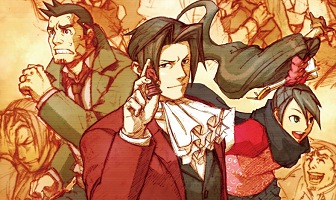 A spin off series with a new cast is fine (and really what 4 should have been), but Ace Attorney is all Phoenix and a possible new game with him as the main character is wonderful news which will likely be tempered by the fact Capcom will never do retail releases for the series at all ever again. Probably. Truly, maybe exciting times are afoot in 2018! I don't know whether to laugh at how ludicrous that is or get excited because I really want Franziska to return. It sounds too made-up to be true, but BOY do I want it to be true. Franziska? I agree with the above poster, that sounds too good to be true. I'm definitely intrigued though. I'm glad at least Nahyuta is returning. I know I'm not his biggest fan, but this could be a good time to redeem him. Another character returning...? If this rumor is true then could it be one scruffy detective that always need to look forward to the monthly evaluation? This is bad, I'm getting my hopes up. I looked up the Reddit post. According to the guy, the other character that's returning apparently can't be revealed as they're important to the central plot. I wonder if the compilations will be physically released, so we FINALLY get physical copies of DD & SoJ. Right! Forgot that she may return! Silly me. It HAS to be her! 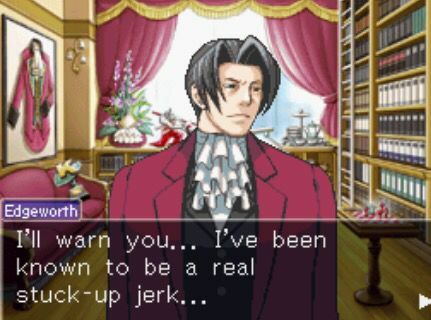 That cliffhanger at the end of SOJ quite confirms it. After discussing it with friends, there are two things to note about this supposed information. 1) Who do we know who refers to Franziska as "Franzy" most prominently? Why, we know him quite well. He even returned in the AA6 DLC. In conclusion, the source is highly suspect on a fourth wall level. Wait. I looked at the reddit post history of the guy who supposedly got more info from Kotaku, and...they had lied about something similar with DR V3 before. So yeah, I don't think the part about Franziska and the other returning characters is true. Yeah, I don't believe it either. The announcement feels just so out-of-nowhere, although I guess that's what they did with SoJ. If anything, I think they'd announce it during the highly likely winter Switch direct. Either way, we'll know on 12/14 whether it's true or not. We posted this rumor because it was backed by Kotaku UK, and even then it should be taken with a grain of salt. A random Redditor whose source is "I talked to Kotaku and they told me things they didn't publish" - including details that if verified would make for a much more solid news story (like a reveal timeframe) - should be taken with enough salt that you could be mistaken for an aspiring competitive Overwatch player. I'm taking so much salt right now, that it makes the dead sea taste sweet.